Osagyefo Dr Kwame Nkrumah is still Ghana’s greatest politician. He is, arguably, the country’s greatest citizen so far . He set benchmarks that others in politics have found either impossible or unnatural. Many years after his death, John Mahama is able to talk Nkrumah like he connects with him. This is crucial. John Mahama is currently Ghana’s skilled politician and Nkrumah the best ever. One of the unique aspects of Nkrumah is that he had not left any subject untouched in his speeches and writings. His thoughts and ideologies, for example, about education, health, rural development, employment, female development and industrial development have relevance today even. His mind was versatile and of wide range of interest. His ports provide and still provide livelihood to millions of Ghanaians. His socialist doctrine was founded on the basic principle of using indigenous things and thereby provided livelihood and employment to the countrymen. John Mahama has always been an admirer and believer of Nkrumah and Nkrumahism. He often quotes Nkrumah in his speeches. His development model was rooted in Social Democratic/Nkrumahism ideology. 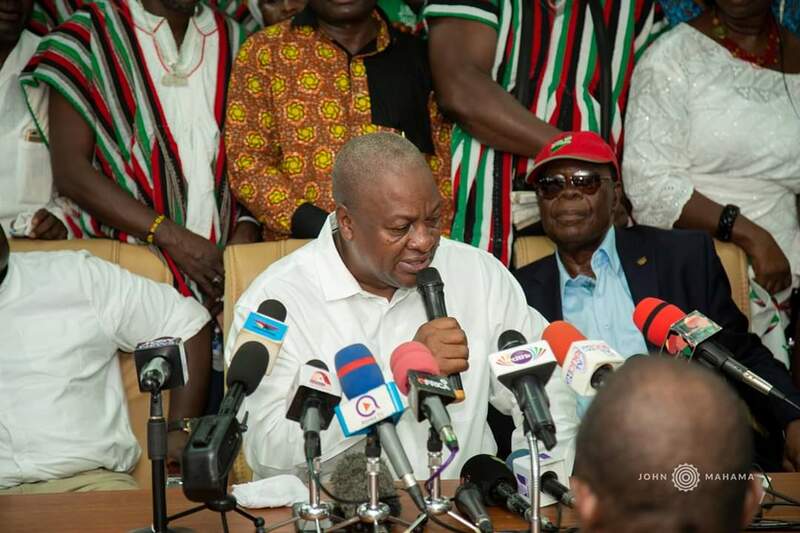 John Mahama launched many schemes and programmes for the youth, woman, farmers, cottage industries. He said every step he took was for the poor and the vulnerable. He continued the rural electrification started by his boss Rawlings, he built modern secondary schools in the rural areas, built ultramodern hospitals in our rural areas, introduced the free fertilizer and seedlings programme. These steps are moving forward to Nkrumah’s path. John Mahama just like Nkrumah has both power and passion. We have seen political leaders who had visionary thinking and we have seen some leaders who had an eye for the details, but John Mahama can do both and he proved that in office. While his eyes are always focused on the stars his feet are always firmly on the ground. Just like Nkrumah, Mahama sees Ghana’s problem not in isolation. In office, he spent long time in understanding the problem from all possible angles because like he always says, a problem well understood is half solved. Ghana witnessed very impressive achievements under Nkrumah’s administration. The economy saw some visible improvement. His focus was to establish an egalitarian and socialist society that would provide better life and happiness for all. The Government of Nkrumah set up many public corporations and state institutions to cater for the industrial and agricultural needs of Ghana. It was under Nkrumah that the high number of social services such as schools, hospitals, roads etc were established. Ghana became the first country in Africa to provide free education and medical services for her people. The Cpp government established new universities, training colleges, secondary,technical and vocational schools etc His achievements include the Tema Metropolis, Tema Habour, Peduase lodge, Akosombo Dam, Kwame Nkrumah University of Science and Technology, Adomi bridge, Tema Motorway, the silos, the state farms. His political opponents in collaboration with the Central Intelligence Agency, the Johnson administration planned to overthrow the Cpp administration. According to the US administration Nkrumah was doing more to undermine their interest than any other black African. This was because Nkrumah had lashed out against the US support for Moise Tshombe in the Congo and blamed the US government. Nkrumah in 1965 boldly rejected IMF and world bank proposals because of obnoxious conditions attached. His political opponents told lies about Nkrumah and used the media and their lies to incite the people against Nkrumah and his Cpp. They presented themselves as the best brains in the country. Their agenda against Nkrumah sailed through smoothly because of harsh economic measures the west spearheaded by the US unleashed on the Nkrumah government. Busia, Edward Akufo Addo and other UP stalwarts accepted appointment in the military regime after the 1966 coup. All the economic gains made under Nkrumah were eroded because of bad policies of the new administration. Free University education and other social intervention policies implemented by the Cpp administration were scrapped by the new administration. The Cpp was banned from contesting the 1969 election. Busia was elected the Prime Minister and Edward Akufo Addo, the ceremonial President. In 1971 the Prime Minister (Busia) who constantly attacked Nkrumah and condemned his economic policies, announced that there was a balance of payment problem for the deteriorating economic situation. He also accepted that external support (loans) was necessary to support government. This position contradicted his earlier position on loans. He vehemently condemned the Nkrumah administration for taking loans to build infrastructure. This acknowledgment of failure formed the basis of the Busia administration’s policy reformulation within the framework of economic liberalisation which culminated in the exchange rate adjustment of about 42% in 1971. Governments including the Nixon administration, the British Government etc rejected proposals for support because of the administration’s bad economic policies. Busia, Edward Akufo Addo were seen liberals. Some lawyers, civil society organizations, chiefs etc supported their anti Nkrumah agenda because of that impression. Busia surprised his admirers and his western allies with his autocratic decisions. He could not avoid his clash with the judges in the famous sallah case. He told the judges that “no court can enforce any decisions that seek to compile the government to employ or deploy anyone” . He repealed the compulsory TUC membership for civil servants contrary to what he told the TUC in opposition. Most of the major projects implemented by the Nkrumah Cpp administration were rubbished by his political opponents. They were described as overambitious projects and they accused Nkrumah and his administration of cost inflation. The Tema Harbour, Tema Motorway and establishment of the Tema Metropolis were described as useless, wasteful and over ambitious projects. Busia, Edward Akufo Addo and their anti Nkrumah elements incited the public against the Nkrumah and rubbished these projects with their cost inflation propaganda. Many years after his death, the ports remain our most reliable source of revenue generation. The ports employ thousands of Ghanaians and Tema, has is the most organised metropolis in the country. The Tema motorway is still the best road in the country. What didn’t hear Akufo Addo, Bawumia and their Npp propagandists say about the Mahama/NDC projects. They adopted same anti Nkrumah approach. Akufo Addo and his propagandists including their friends in the media rubbished all the achievements of the Mahama administration including the secondary schools, ports expansion, the hospitals, the polyclinics, the interchange, the water projects etc. All the investments the administration made in the various sectors including telecommunication, education, oil and gas were described as wasteful by Akufo Addo and his team of propagandists. Few weeks after his inauguration, President Akufo Addo proudly announced to the whole world that Air France was going to start operations in Ghana. He forgot that Air France took that decision during the time of Mahama and gave the expansion work at the port as the main reason why it settled on that decision. The President commissioned projects implemented by the Mahama administration and recommissioned some of the projects he had described as Photoshop. He completed loan negotiations initiated by his predecessor including loans he described as needless. He condemned the establishment of the stabilisation and heritage levies and promised will scrap them immediately he takes over. He described the IMF deal as a satanic deal and described Mahama and those who went for that arrangement as anti Ghana. He described Mahama and his managers of the economy as incompetent and anti Ghana for going for loans to implement infrastructure. What are we seeing under Akufo Addo? The administration has added close to Ghc 60 billion to Ghana’s debt stock within 15 months. $2.25 Billion bond was issued by the finance minister without going through approved procedure, Ghana is going for a $50 billion century bond, the Chinese have taken over our mining industry after wasting billions of the tax payers money on the anti galamsey operations. The Mahama administration was described by Akufo Addo and his anti Mahama elements as the most corrupt administration in the history of Ghana. Busia, Edward Akufo Addo and their anti Nkrumah elements propagated same falsehood against Nkrumah. They told Ghanaians Nkrumah own houses, personal jet, cars, zoos etc. They lied that Peduase lodge was a personal property of Nkrumah etc etc. These lies got Ghanaians angry. Same lies were told about John Mahama. Sky do Addo is today benefiting from the very projects he condemned and described as Photoshop. Atuabo gas is saving his administration and Ghana Ghc 500 million annually, The World Bank and other financial institutions have projected that Ghana will record 8+ percent growth in the economy between 2017/18 because of investments the Mahama administration made in the oil and gas industries. Nkrumah was father an ideology that knit the groundwork of modern Ghana. His moral compass was set on a firm axis – politics without development was immoral. Nkrumah was a very empowering and visionary leader. He gave Ghanaians a new spirit, a sense of self respect and a feeling of pride in their civilisation, he was something more than a mere politician. Mahama established himself as a slave of the people of Ghana, empowering the general public. He made it his policy to practice what he preached.